British Airways has released a promotional code offering passengers travelling on its thirteen new routes a 20% discount off published economy fares. The code ‘NEWROUTES2016′ is valid for bookings made by 29th February 2016 and for various travel periods between 29th April 2016 and 30th June 2016. British Airways is promoting the discount code on its Flight Offers page at ba.com, however the list of shorthaul European fares shown on the page are not all valid for the discount, which requires a return fare in excess of £100 per person to be purchased. In addition, the code is only valid in domestic, shorthaul Euro Traveller and longhaul World Traveller economy cabins. Although airline sales are not unusual, it’s less common for the promotional stars align to allow passengers to benefit from two offers on the same airline at the same time. However, British Airways Executive Club members who are already used to being able to use Avios points to ‘part pay’ for their tickets can double-dip this weekend, with the airline’s current fare offers combining with another Black Friday deal to make greater savings than are usually available with Avios contributions. Destinations offered at the increased part payment saving rate are Atlanta, Austin, Boston, Washington (Baltimore), Denver, Dallas, Newark, Washington (Dulles), Houston, New York, Los Angeles, Mexico City, Miami, Chicago, Philadelphia, Phoenix, San Diego, Seattle, San Francsico, San Jose, Nassau, Grand Cayman, Montreal, Vancouver, Calgary, Toronto, Buenos Aires, Rio de Janeiro & Sao Paolo, and bookings must be made by 23:59GMT on Monday 30th November 2015 – the same deadline as for the current sale fares. Flights booked using Avios part payment earn Avios and Executive Club Tier Points at the same rates as without part payment, although they do not qualify for earnings in the British Airways OnBusiness SME loyalty programme. To check all British Airways fares and availability, and in particular to locate the lowest available fare, use the British Airways Low Fare Finder at ba.com. For additional details regarding the Black Friday Avios Part Payment offer, visit this page at ba.com. Two new promotional codes will be released by British Airways on Monday 21st September 2015, offering passengers departing from London the opportunity to save £10 off Euro Traveller economy return fares over £100, and £50 off any Club Europe business class return fare. The codes will be valid for 100,000 Euro Traveller bookings and 20,000 Club Europe bookings, for travel between 1st October 2015 and 20th March 2016. All bookings must be made by 5th October 2015, and the codes are valid for use in the current sale ending 29th September 2015. 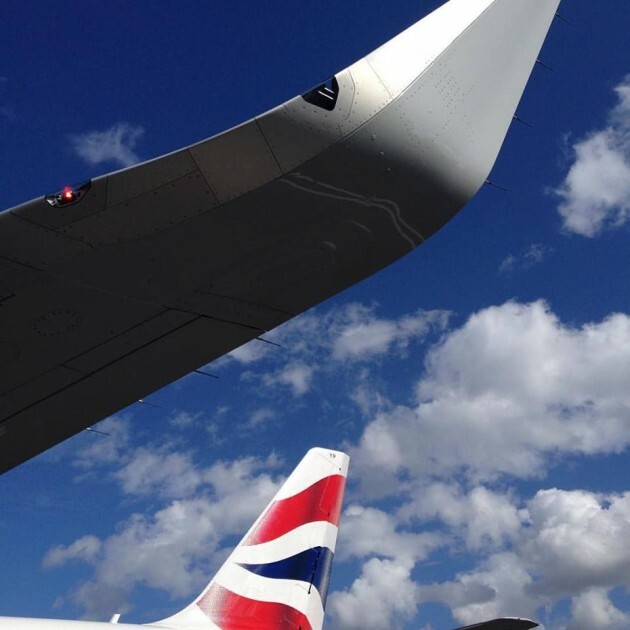 British Airways flies from London’s Heathrow, Gatwick and City airports direct to almost 100 European destinations. 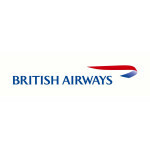 To check all British Airways fares and availability, and in particular to locate the lowest available fare, us the British Airways Low Fare Finder at ba.com. 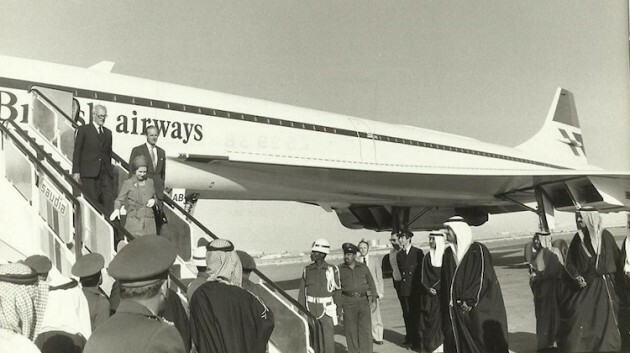 The Queen becomes the United Kingdom’s longest serving monarch on 9th September 2015, and British Airways is marking the occasion with the publication of a series of photographs recalling the company’s long association with Her Majesty, including this one of the royal party arriving in Kuwait on board Concorde in 1979. BA has also released a promotional code valid for the record-breaking day only. Customers making longhaul bookings today, for departures from the United Kingdom until 29th August 2016, can save £63 per person by booking at ba.com and using the code ‘CELEBRATE’. This reduces the lowest available fare for a London Heathrow to New York flight to £299 return. 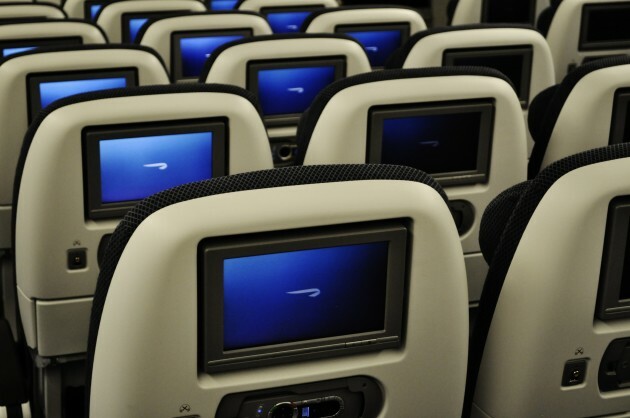 The code is valid for flights operated by British Airways and its partners American Airlines, Iberia and Iberia Express, and in all cabin classes. Bookings must be made by 23:59 BST on Wednesday 9th September 2015, and the discount is available only at ba.com. The British Airways Low Fare Finder is the best way to check availability and fares; once live the promotional code may be added after flights have been selected and the total ‘normal’ fare has been calculated. The code should be inserted in the appropriate box beneath the title ‘Save money on your booking’. 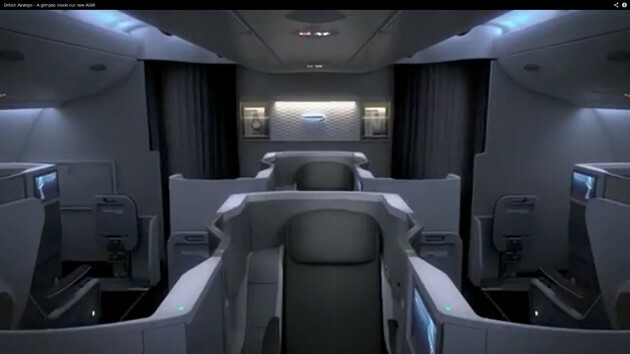 British Airways has issued a £50 per person discount code valid on selected longhaul routes in its World Traveller economy cabin. The discount brings the current lowest-available round trip fare from London to New York down to £329, which is lower than in most recent sales. The list of available destinations includes New York John F Kennedy Airport, Toronto, Chicago, Mexico City, Antigua, Barbados, Punta Cana, Orlando, Tampa, Dubai, Hong Kong & Abu Dhabi. Travel must be completed by 31st March 2015. Fares are eligible for full tier point, Avios and OnBusiness credits as relevant to passenger membership. To book by midnight on Sunday 15th February 2015, visit ba.com and enter the code ‘SHARETHELOVE‘ on the price quote page of the reservations process. Members of the Shell Drivers’ Club are eligible to receive a 15% discount on British Airways World Traveller economy flights to the USA and Canada. The discount applies to flights originating from the carrier’s London Heathrow hub, including those operated by the latest Boeing 787 Dreamliner and Airbus A380 SuperJumbo aircraft. 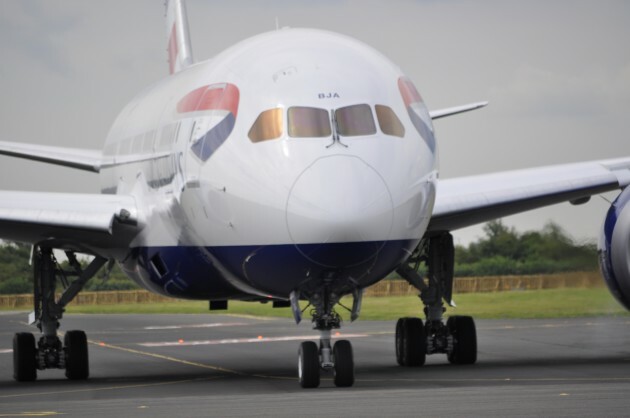 The 787 is now operating on selected services between Heathrow and Newark, NJ, and between Heathrow and Toronto Pearson airports, while the A380 operates selected flights to Los Angeles, CA. The discount requires the use of promotional code ‘ShellnovZH‘, and bookings must be made by 14th November 2013. Travel dates are from 1st November 2013 to the 14th April 2014, and there’s a minimum booking spend of £450. The full terms and conditions of the offer, as published by BA, are a little confusing and make references to terms which relate to previous promotions – and there are some Executive Club references which don’t in fact apply at all either. The discounted fares will, however, earn full Executive Club Tier Points and Avios points. Ultimately, clicking the promotional code link at the ‘total price’ page on the BA website and inputting the code will reveal whether the terms and conditions have in fact been met. The discount can’t be combined with flight plus hotel or flight plus car bookings, and is not valid for journeys originating at other UK domestic airports – only London Heathrow. Membership of the Shell Drivers’ Club is free of charge – visit shellsmart.com to join. 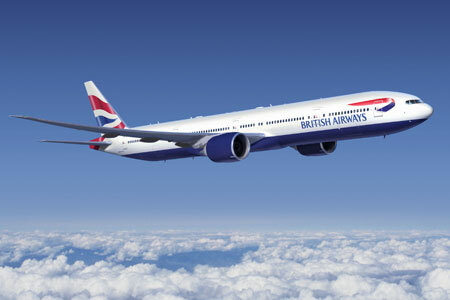 For full details on the British Airways discount offer and to book, visit ba.com.